POINT LOOKOUT, MO. 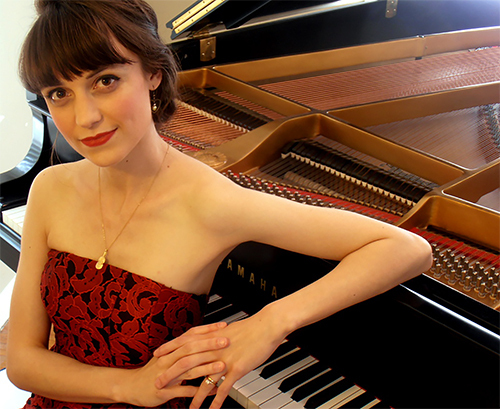 — On Tuesday, Feb. 5, 2019, guest artist Mary Vanhoozer will perform at College of the Ozarks at 7:30 p.m. in the Newman Recital Hall of the Gittinger Music Building. The recital is free and open to the public. Seating is limited and available on a first come, first served basis. Vanhoozer is a professional concert pianist, chamber musician, and pedagogue. She serves as an adjunct professor of piano at the Collinsworth School of Music at California Baptist University in Riverside, California. She received her Doctorate of Musical Arts from the Cleveland Institute of Music under the supervision of Daniel Shapiro, Ph.D., in 2013. In 2015, Vanhoozer produced her first album of original songs, Songs of Day and Night. This song collection not only represents her diverse musical range but also reveals her continued passion for folk music. She plays the Scottish fiddle, mandolin, djembe, and the hammered dulcimer. Vanhoozer is also one of the co-founders of Pear Tree and Partridge, a duo of renaissance women with a passion for bringing art and beauty into conversation with the rhythms and routines of everyday life.